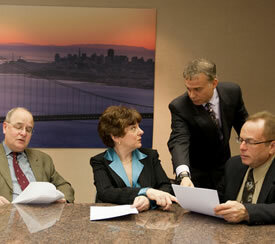 Stephen H. Sulmeyer, J.D., Ph.D. is a lawyer, psychologist, mediator, and collaborative law practitioner. 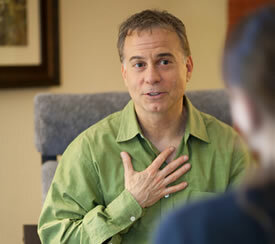 His psychotherapy practice is based in Marin County, California. 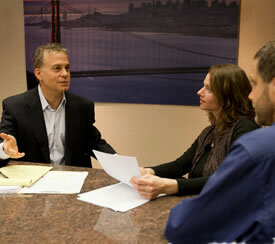 He offers alternative dispute resolution services in Marin County, San Francisco, Sonoma County, the East Bay, and throughout the Greater Bay Area. Steve’s unique blend of law and psychology allows him to identify and work effectively with, rather than shy away from, the underlying psychological obstacles that are often the real barriers to the resolution of conflicts. Steve’s conflict resolution work covers a wide range of subject areas including family and divorce, business/commercial, intellectual property, employment, probate, elder, trusts, estate planning, discrimination, partnerships, insurance, and community matters. He is also a trainer in psychotherapy, mediation, and collaborative divorce. In his clinical psychology practice Steve works with individual adults and couples. He addresses a wide range of clinical issues and symptoms, as well as existential issues such as midlife transitions, meaning, and spirituality.